The global economy is set to grow by almost 4% in 2018 in purchasing power parity (PPP) terms, adding an extra $5 trillion to global output at current values, according to new projections in PwC’s Global Economy Watch. The main engines of the global economy - the US, emerging Asia and the Eurozone - are expected to contribute almost 70% of economic growth in 2018 compared to their post-2000 average of around 60%. Growth in the Eurozone is predicted to be above 2% in 2018, as PwC expects the peripheral economies to outpace the core for the fifth consecutive year. Of the larger Eurozone economies, the Netherlands is expected to lead the way with economic growth at around 2.5%. By contrast, uncertainty relating to Brexit is expected to drag on UK growth, which is predicted to be 1.4% in 2018. China, the world’s largest economy in PPP terms, could grow by 6-7% in 2018, slower than previously, but in line with expectation. Amongst the 17 economies that will grow faster than China are India, Ghana, Ethiopia and the Philippines, pointing to broader based growth in Africa and Asian economies. 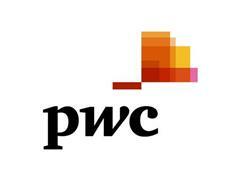 Eight of the ten fastest growing countries in 2018 could be in Africa according to PwC’s analysis. With the fastest level of growth for several years, 2018 is predicted by PwC to be the most energy hungry on record too. Almost 600 quadrillion British Thermal Units of energy could be consumed by the global economy in 2018, the highest level on record and double that of 1980. India and China alone are expected to consume 30% of global energy. Despite this, PwC’s outlook predicts oil prices are set to remain broadly stable in real terms, with OPEC and its allies extending its 1.8 million barrels per day supply cut until the end of next year. The European Central Bank could reduce its monthly asset purchases in 2018, but a dramatic shift in monetary policy in Japan is unlikely. Across the G7, the unemployment rate is predicted to hit a 40 year low, at around 5% or 19 million workers. Wage growth will post a modest uptick in some advanced economies where spare capacity is limited but remain below pre-crisis levels. An extra 80 million people are likely to be added to the world’s population in 2018, but as a percentage increase this would be the slowest since 1950. For every 10 people added to the world’s population, PwC predicts nine will be located in either Africa or Asia.